Today, Lidl Ireland announces its commitment to the introduction of electric vehicle charging points to all new Lidl stores and across all major store refurbishment projects. 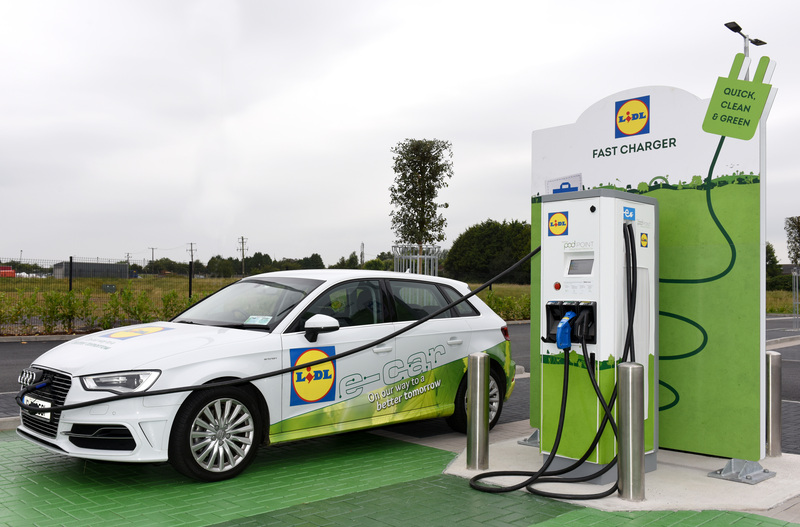 This announcement means that Lidl will provide the largest network of electric vehicle chargers in the Irish supermarket sector, enabling customers to charge their electric vehicles free of charge whilst they shop. The move is part of Lidl’s Renewable Energy Programme and ‘A Better Tomorrow’ sustainability strategy. 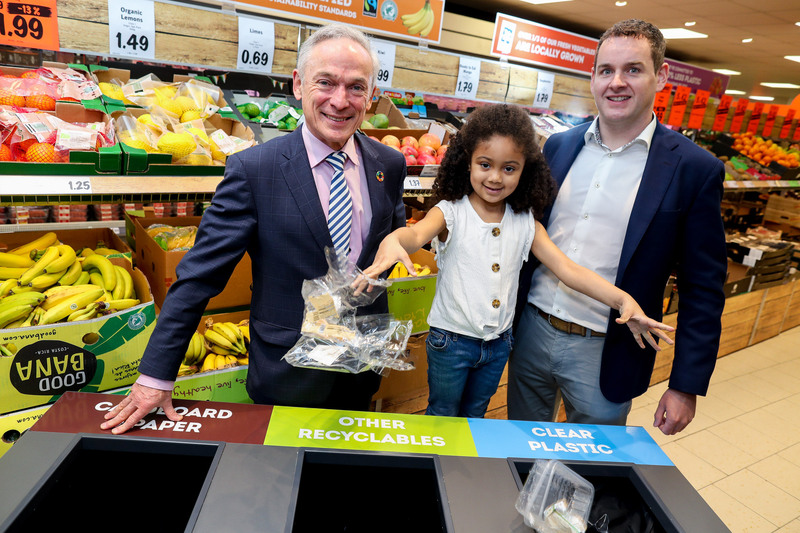 This latest sustainability initiative means Lidl will provide over 40 electric vehicle charging facilities in 20 stores across Ireland within the next 6 months. Lidl has already installed, and trialled electric vehicle charging points at the Rathfarnham, Drogheda and Swords stores and will retrofit the technology to its stores in: Cabra; Tallaght; Glenageary; East Wall; Gorey; Wilton; Virginia; Magherafelt; Lurgan and Andersonstown across the coming months. Electric vehicle charging points will also be installed at all locations where Lidl is currently building new store developments: Belgard Road, Tallaght; Fortunestown; Sligo; Nenagh; Childers Road, Limerick; Birr and Antrim. “At Lidl, we are delighted to be leading the way in environmental sustainability and are today committing to providing 40 electric vehicle charging points across 20 stores within the next 6 months. Business must act responsibly, and Lidl will lead the way by installing electric vehicle chargers in all new store builds and investing over €150,000 in our Electric Vehicle Charging Programme. Electric vehicles are indispensable in addressing the major challenges of improving air quality and curbing the use of fossil fuels. With more and more customers shopping with us every week, we hope that the expansion of the network of public charge points will make electric vehicles more attractive to customers whilst further enhancing our customer experience. What’s great is they’re also free for our customers! Transport accounts for one third of Ireland’s energy requirement and energy related CO2 emissions with electric vehicles offering a more sustainable transport solution. The National climate-change-mitigation plan aims to increase the number of electric vehicles on Irish roads to 500,000 by 2030. 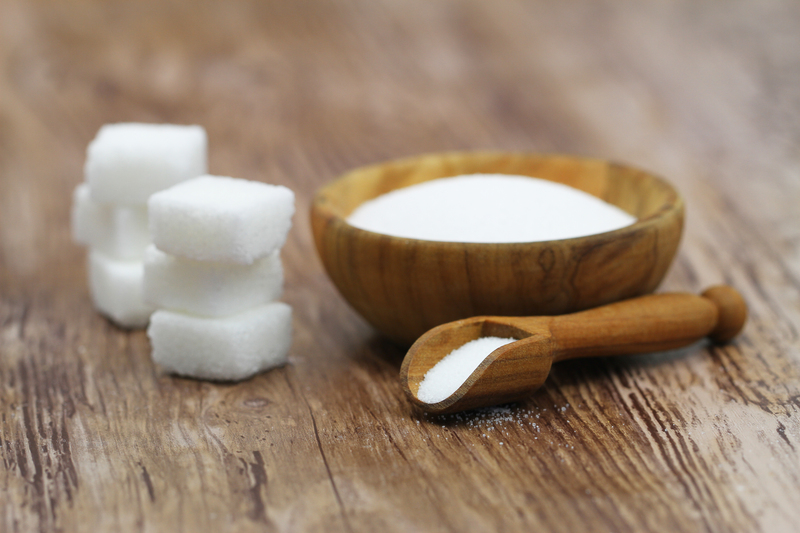 The SEAI and the Department of Communications, Climate Action and Environment expect sales will jump over the next few years, as more manufacturers introduce mass-market models.